Have you ever gone into your walk-in cooler and smelled rotten eggs? Heard a grinding sound as your reorganizing the vegetables? Odd noises, off-putting smells, fluctuating temperatures, and ice buildup are all indications that there is a problem with your walk-in cooler. The Tampa commercial refrigeration experts at All Temp can help you identify the signs that your walk-in cooler needs maintenance. Typically, when an appliance starts making weird noises, it’s a cause for concern. Your walk-in cooler should function almost silently, so be concerned if you hear any rattling, squeaking, or shaking. This can indicate a mechanical malfunction — which will most likely grow worse over time. When your refrigerator at home smells bad, you know food has gone bad. The same rule applies to your commercial refrigerator, with a bigger catch. If your food is spoiling, there is most likely a problem with your walk-in cooler. Fluctuating temperatures could be causing food to spoil, meaning the coolant may be old and losing its effectiveness. Any weird or unusual smells are a sign to call in a professional. If you notice the temperature in your walk-in cooler isn’t consistent, there could be a problem with the condenser coil. When the condenser coil fails, your walk-in cooler starts to heat up. This puts your cooler in an expensive cycle of trying to cool down the coil. To save time and money, contact a professional when you notice fluctuating temperatures. You may dismiss ice buildup in your walk-in cooler as normal. That’s what a cooler is supposed to do, right? However, a buildup of ice, especially on the sides of the unit or the food, is actually a sign that your evaporator is failing. If you notice any weird sounds, foul smells, or fluctuating temperatures, then it’s time to call the Tampa commercial refrigeration experts at All Temp. 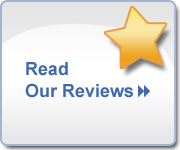 Contact us at (813) 630-9400 to speak with a friendly and knowledgeable staff member. 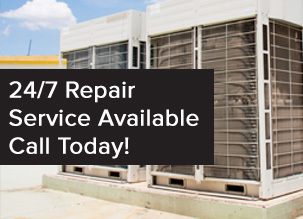 We know that emergencies don’t happen on a schedule, so we offer 24/7 repair service. If you think your walk-in cooler needs maintenance, contact All Temp.